The $25,000 Rea Award for the Short Story has been awarded to JOYCE CAROL OATES. “Her many and versatile literary accomplishments notwithstanding, the winning of this award puts Joyce Carol Oates solidly in the camp of premier short fiction writers,” says Michael Rea, president of the Dungannon Foundation. Previous winners of the Rea Award for the Short Story are Cynthia Ozick (1986), Robert Coover (1987), Donald Barthleme (1988) and Tobias Wolff (1989). Jurors for the 1990 Rea Award for the Short Story were Frank Conroy, Director of the Writers’ Workshop at the University of Iowa, Daniel Halpern, editor of Antaeus and The Ecco Press and Tobias Wolff, writer-in-residence at Syracuse University. Joyce Carol Oates is one of today’s most prolific writers. She is the author of twenty novels and many volumes of short stories, poems and, essays, as well as plays. Her short stories have been included in the O. Henry Prize collections. She has received awards from the Guggenheim Foundation, the National Institute of Arts and Letters and the 1970 National Book Award. 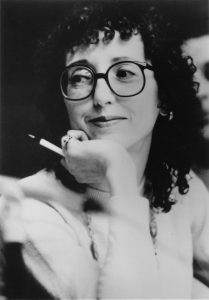 She is a member of the American Academy of Arts and Letters. “All of my writing,” Joyce Carol Oates once remarked, “is about the mystery of human emotions.” This is reflected in her short stories. Love and death are the central themes of the stories in A Sentimental Education. The twisted psyche provides the thread of the stories in Last Days. In Raven’s Wing the stories deal with human evil.